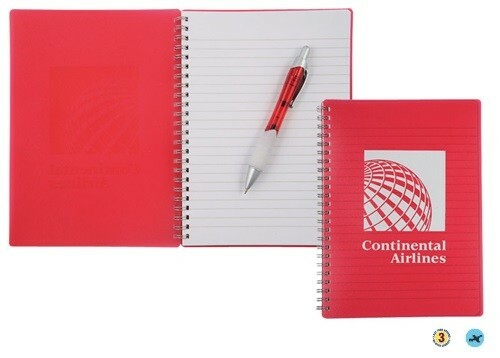 Long lasting Everpoly covers, spiral bound with ruled writing paper. 8 1/2"h x 61/2"w (closed). Stock Colors: R20 Iced Blue, R30 Red, R40 Smoke. Stanard Decoration: One color, one location.